Favorite Target: Bass, SeaBass, Tuna, Bluefish, Trout… I can’t choose just one of them! 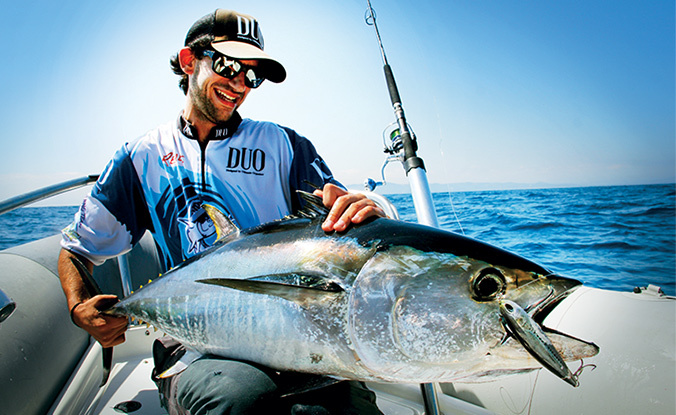 What you like about DUO lures: The DUO lures have become a standard in the world of sport fishing not only for the quality of its finishes and its proven effectiveness. Behind every lure is a lot of work and research to give a final product that will satisfy the most demanding fishermen. When did you start fishing: I started fishing at 4 years old, but it was not until 13/14 when I started in the world of spinning. Dream place for fishing: Madagascar / Panamá (Las perlas)…..